The Big News in Military Disability: The VA and Women Veterans – What’s Trending? The physical and mental health issues unique to women veterans have been getting a lot of attention in recent months. Approximately 9.2% (about 2 million) of the total living veteran population is women veterans, and that number is expected to grow to 16% by 2040. The VA announced on April 2, 2015 that it has appointed 4 new members to their VA Advisory Committee on Women Veterans, a panel of experts that advises the VA on issues affecting women veterans. The Committee makes recommendations to the VA about changes, both legislative and administrative, that need to be made and assists the VA in identifying gaps in services for women veterans and addressing those issues. Three of the four new committee members are women veterans themselves, and the fourth is full-time National Guard. On April 15, we posted on our blog the comments we submitted on your behalf to the VA in response to the VA’s proposed changes to the ratings for the Female Reproductive System. Your responses addressed valid issues and concerns, and we are hoping to get positive change from the VA. 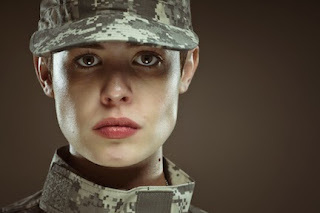 In March 2015, Representative Corrine Brown introduced a bill to make the pilot program on counseling in retreat settings for women veterans newly separated from active duty permanent. This program is currently only authorized through 2015. In addition, Rep. Brown introduced a bill on April 28, 2015 to require the VA to provide continuous access to gender-specific medical care at every VA medical facility. Gender-specific medical care includes things like breast care, prenatal and obstetric care, preventive screenings such as mammograms and pap smears, gynecological care, neonatal care, and infertility services. Under the provisions of this bill, these services would be provided in-house instead of being farmed out to private providers. Funding and authorization for the additional staff, equipment, and supplies needed to provide these services is included in this bill. Both of these bills are currently before the House Veterans’ Affairs Committee. We will keep our eye on them and let you know their progress. To obtain more information about VA programs and services for women veterans, go to www.va.gov/womenveterans or contact the Women Veterans Call Center at 1-855-829-6636.